The late Mereoni Vibose at her home in Raiwaqa, Mavua, Nadroga. The athletics fraternity is mourning the loss of former national javelin and discus champion Mereoni Vibose. 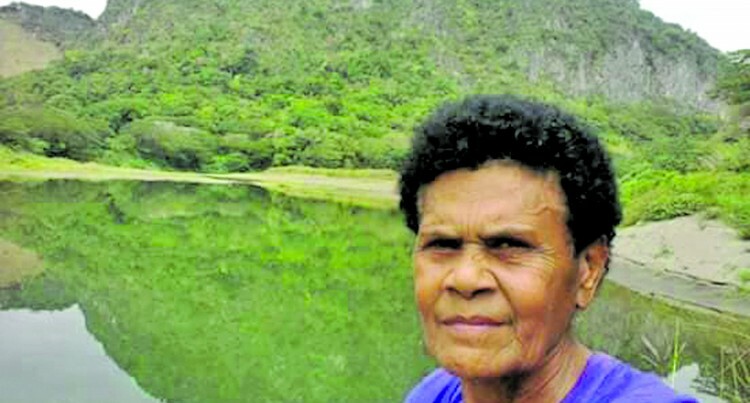 Family member Vilikesa Vatu­kinikini confirmed yesterday Vi­bose died at Sigatoka Hospital last Saturday. “We will miss her. She was always dedicated and hardworking even though she’s sick she always finds ways to finish her task. “She’s always tough and never gives excuses,” Vatukinikini said. As a young child growing up in Raiwaqa, Mavua in Nadroga, the 1998 Hall of Fame inductee used to be seen hurling sticks or throw­ing stones. This humble beginning blossomed into a full – blown career in field events, specialising in dis­cus and javelin. This athletics career spanned from secondary school athletics representing Adi Cakobau School to regionally and international meets, representing Fiji in six Pa­cific Games, two Commonwealth Games and two World Athletics Championships. Former national rep Samuela Yavala said Vibose was a dedicated athlete and someone young athletes of today should learn from. “She is a very independent athlete even though she maybe injured but she always trains and those are the kind of athletes people of today should learn from. “A very good team worker, she was one of the best athletes in the Pa­cific,” Yavala said. He said it’s sad that there was no understudy for athletics legend like Vibose. “This is one problem today. During our time we learn from the experi­ence of others and we improved from that,” Yavala said. “But unfortunately we are learn­ing from those people who are not close to us. “Learning from a book, book that’s written for someone else peo­ple that don’t belong to us. “Mereoni was the best athlete but its unfortunate people did not learn from her,” he said. She retired from athletics in 1991 after 22 years of being the best ath­lete in the Pacific in her chosen dis­cipline, having won 3 gold, 4 silver and 2 bronze medals during her career. Vibose died at the age of 66 after a short illness and she will be laid to rest in her village on Friday.